As you may have seen on our Twitter and Instagram feeds, I (Nathan) drink a lot of coffee. A lot. And I drink it at home and out. I've been around coffee a long time, my Dad used to get a bag of blue mountain beans every month, and always had a espresso pot on the stove after every meal. When I was old enough (around 9), in my school holidays, I would work at my uncle's deli in Mile End, making coffees, frothing milk and generally being a menace. This is where my love of coffee comes from. And this love has continued throughout my teens and now thirties, where coffee is the standard reason to get out of the office, ice breaker when meeting someone new, or reason to catch-up. 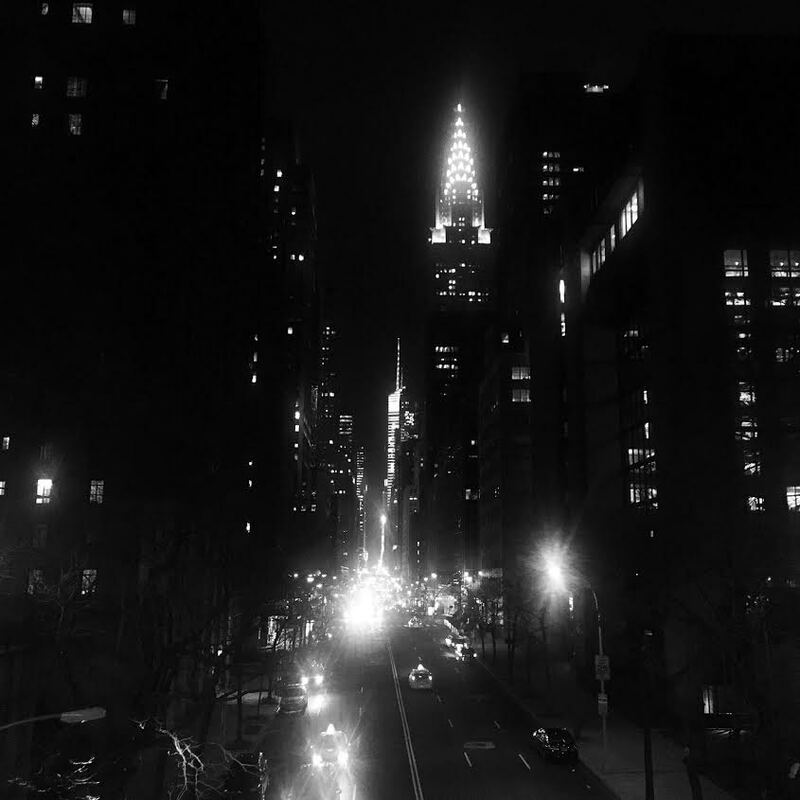 So there are a lot of places I have tried, a lot of places I like, a lot I don’t and a lot in between. 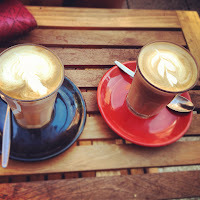 So in this round-up I am sharing with you my thoughts on the Adelaide coffee scene as I know it. There are still lots of places for me to explore and try, lots more beans to be bought and espresso’s to be made. If you have other suggestions, comment at the bottom of the post and I will make sure I get to them! The coffees listed here are places I think are deserving of a OTCB recommendation. Choose one of these locations at all times if possible. You'll get great coffee, you have the option of different blends, custom beans, different serving options, and you'll always be pleased. Usually a well trained barista behind the machine. I have sorted these into two groups: CBD and Suburban. I will be adding to this list pretty frequently, so make sure you come back and check out my updates! 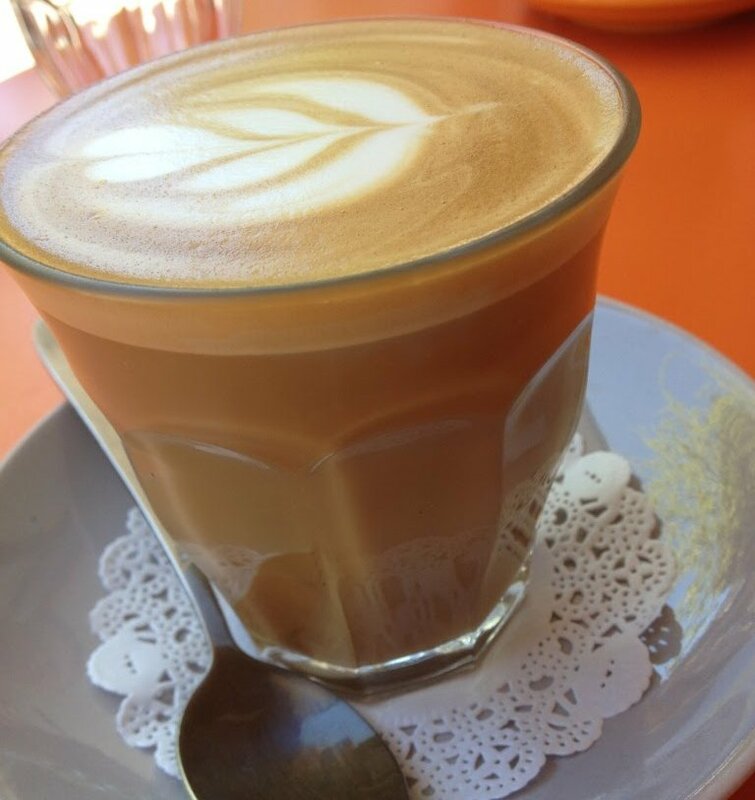 And if you love coffee with almond milk, check out our review of the Top 3 Almond Milk Lattes in the Adelaide CBD. 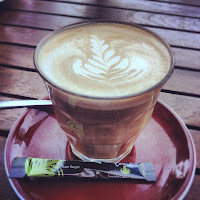 The branch is, and for me always will be, the Coffee shop that brought Melbourne style coffee shops to Adelaide. 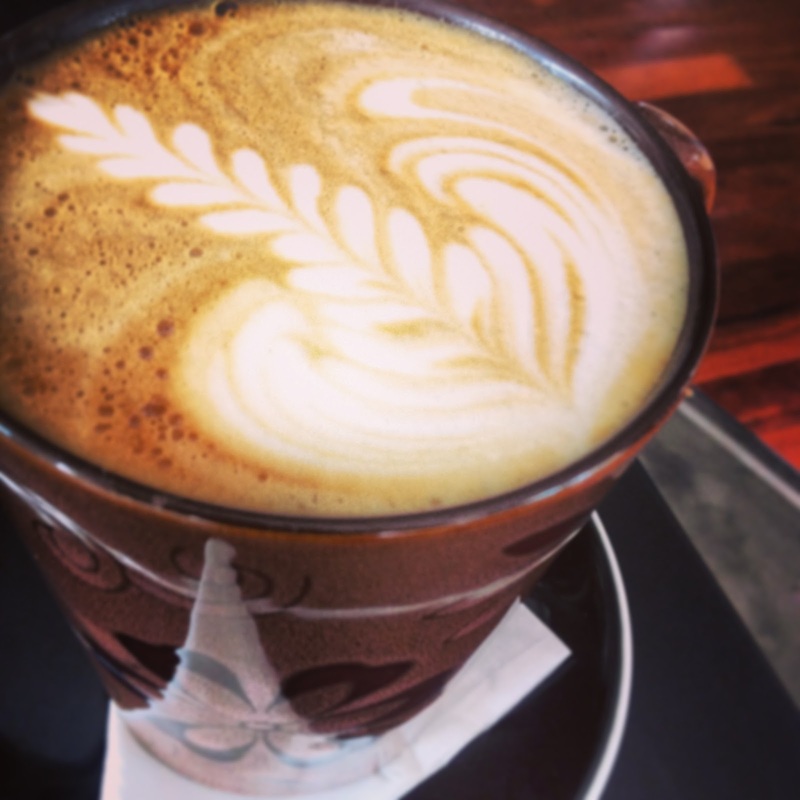 Since it has opened, it's been the go-to standard CBD location to get a great coffee. In being this, it's always busy, and this can be the only downfall, sometimes, it's just not hot enough. Hey Jupiter - it may not be known for it's coffee, but they sure make a good one. Honestly, I didn't expect it to be as good as it was, and it made a fantastic finish to an awesome lunch. Also, the rolls are brilliant, a great 'adult' sandwich! Great service too. There is a good range Au Matin Calmé pastries too. Don't go past it if you are anywhere near Rundle St.
Avila - Avila is a not a super popular coffee shop, but they do make a great coffee. It's situated on Hindmarsh square, next door to the Griffen's Head. It's never super busy, and the barista will always take time to have a chat with you about the coffee, or any questions you may have about their Campos beans (also available for purchase). It's also a nice place to sit out of the way of the hustle and bustle of the other CBD locations. Spaghetti Junction - Just off rundle mall, in the city cross food court is an Italian takeaway that is challenging coffee delivery. 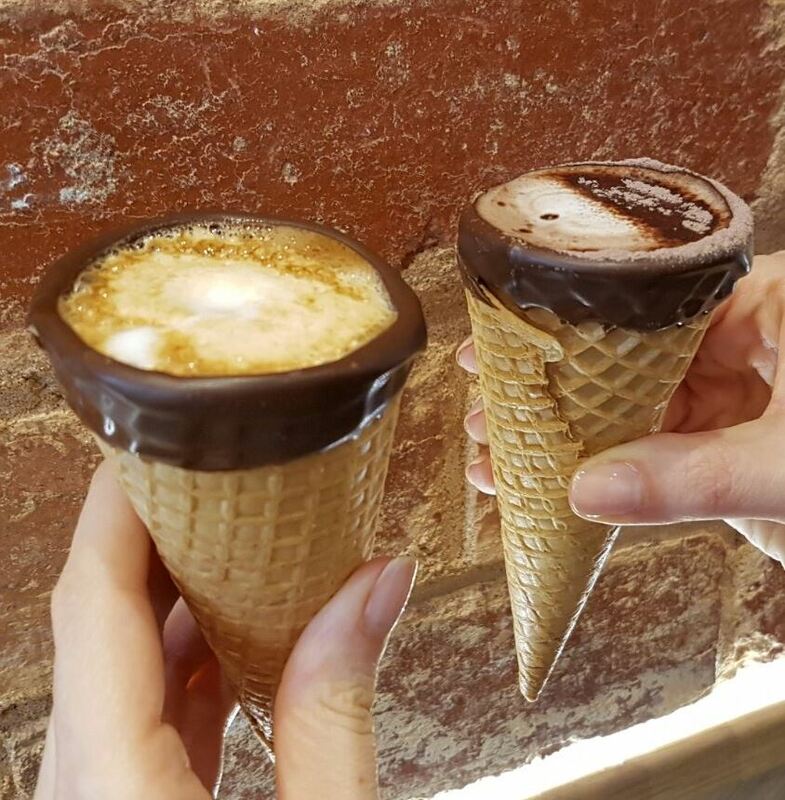 They're doing this by serving any coffee type, or hot chocolate in a cone. Using beans from Coffex Coffee Roasters and almond and soy milk alternatives available, you can fill your cone to match your needs. The cones are hand made in store to ensure that they are the right thickness to withstand the heat and liquid. As a coffee lover, it's a fun way to have a coffee, whilst also sneaking in that afternoon treat! If you're in the city, and feeling like a quick treat, along with a caffeine hit, check this out! Fiefy's - In a small area, slightly hidden from Pirie St (near BTS) is Fiefy's, a definite CBD gem. Most morning's you'll find a decent crowd getting a great coffee on the way to their offices over on Flinders St. Fiefy is an award winning barista, and it shows through in her coffee. She has her own bean selection (CoffeeSnobs - also sold onsite), with a smooth, slightly nutty taste. And, as a three chop rating stipulates, she is consistent and smart, willing to take the time to have a chat if it's not too busy. Next time you're wanting to go for a walk, want somewhere different, head to Fiefy's! Larry & Ladd - What do you get when Superman has a baby with Wonder woman? Wonderman or Superwomen even? In this case, its Larry & Ladd, a collaboration between Bar 9 and Coffee Branch. Located in the middle of Regent Arcade, they have again brought great coffee to an area that was lacking in any good options. The setting in the arcade is great, using their own 5 Senses blend of beans, paired with Tweedvale milk, the delivery from the Barista’s and that matt black Synesso is super consistent. Hungry? Pair it with a fancy toasty toast, cheese and pickles being my favourite. Flinders St Project is located towards the Hutt St end of Flinders St, but is still a close enough walk to be considered CBD. Just. I also like the location as it’s directly on my drive into work, and you can stop in for some breakfast, a piece of toast, or just some great coffee. 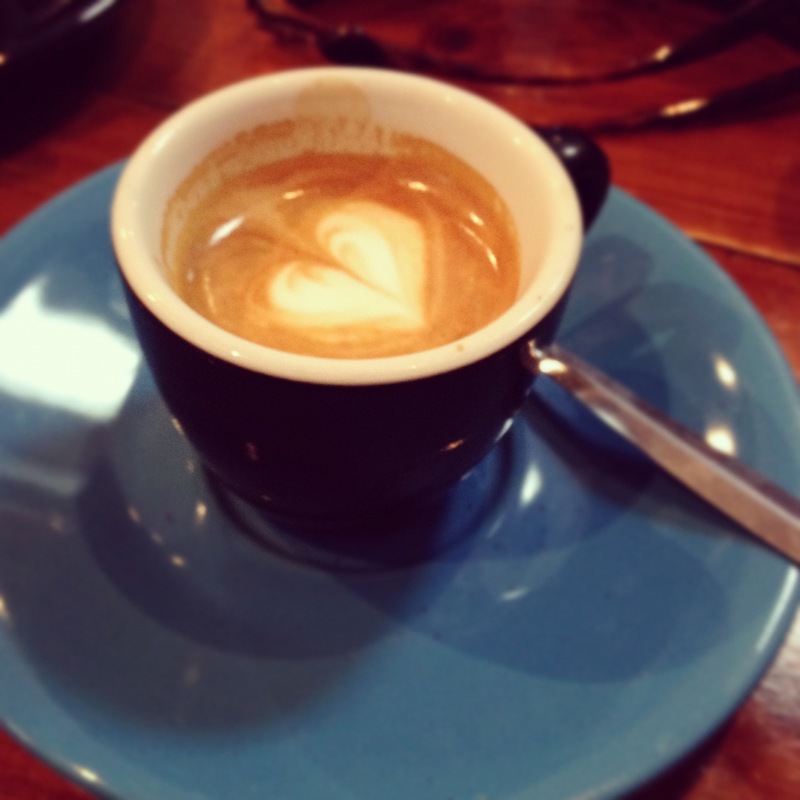 There are many things to like about the location, and its food, but this is a coffee roundup! They use single origin (the blend is always changing) De Groot beans, which are my favourite local roaster, based out of Port Elliot. 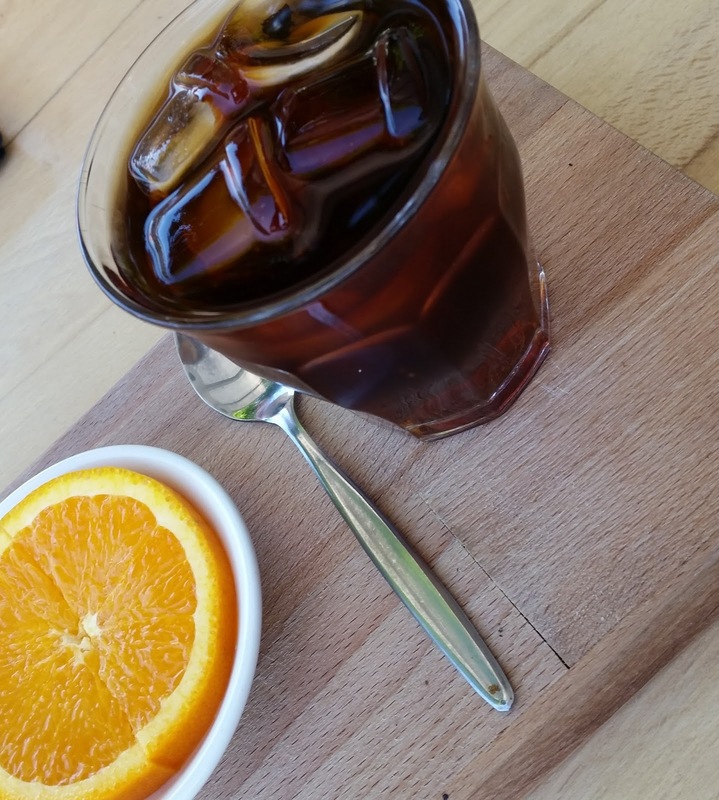 You can also get Mischief Brew Cold brew served here, paired with a piece of orange on this occasion to highlight the fruits within the cold brew. Monday's Coffee Store - Another relative new comer to the Adelaide coffee scene, Monday's is delivering impressive coffee. 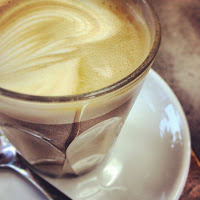 Monday's owner, Jarrod, has an impressive CV, including some of my favourite Melbourne coffee haunts. Based on that, he's set up a great little shop. He is currently using Small Batch beans (from Melbourne's Auction Room roasters) with B.D Farm Paris Creek and Bonsoy as milk choices. There is also Mork Chocolate and Assemble teas, but at the heart of Monday's is excellent coffee. 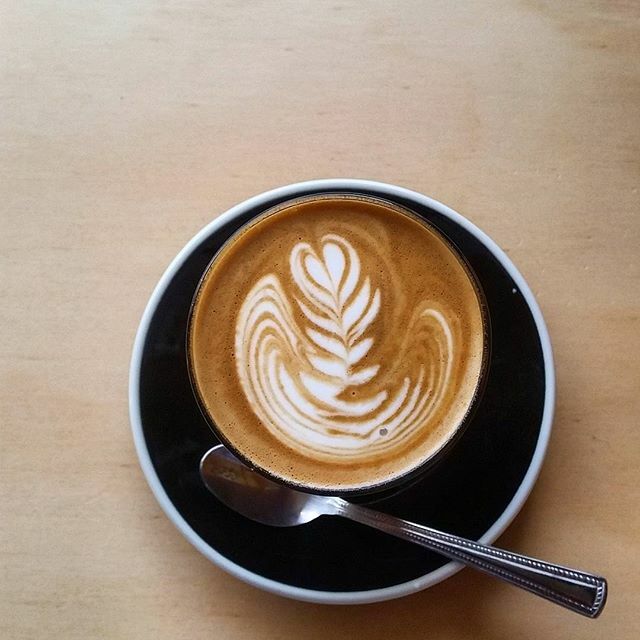 No fuss, no nonsense, just consistently excellent coffee. Tell Henry - What is it with warehouses turned shop fronts / shared work spaces that encourages great coffee? The answer is probably clear within that sentence. On the fringe of the CBD, at the very western end of the Parade is Tell Henry. 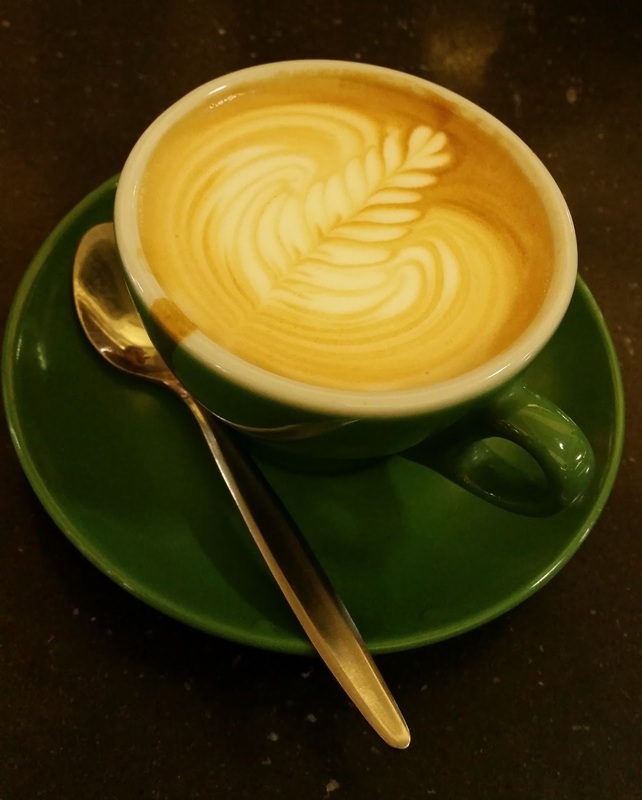 With Industry Beans from Melbourne accompanied by a selection of rotating single origins and a separate Iced Coffee menu, you're spoilt for choice. Add to this Four Seeds sweets and Bagel Boys Bagels, you won't go hungry either. Bar 9 - Bar 9 is, for me, the most progressive coffee shop in Adelaide. Ever since they opened, they have always had the best barista's, the most coffee making options, the most variety in beans, and have made the best coffee. I can go there three / four times a week, and know I am going to get the same quality product and I haven't been disappointed yet. They have a dedicated area for tasting and selling beans (and now tea), they have great food, and the most consistent product in Adelaide. I haven't talked about the food much, but it's always great. More on that in other food posts! Coffee Barun - The Barun is my local. I've seen it grow from the tiniest of shopfronts, to being turned away most Saturday's for lack of seating. This is because the coffee is great, the beans are great, and the food is great. It's a triple threat. Or something like that. The coffee is super consistent, with a taste that is definitely 'The Barun'. You can taste it every time you get one. The place is pretty busy these days, and that can have it's negatives, so make sure you book if you want to eat, and allow some time to get your coffee if you are taking away. All of the staff are super smart, and are always able to educate about the beans they have on offer too. Make the effort to take a drive there one weekend, and you will enjoy it! Paddy's Lantern - Paddy's is my home away from home when it comes to a regular coffee. A previous role meant I spent a lot of time out near Greenhill Rd, and I was always looking for an opportunity to get out and have a coffee. Paddy's not only meets this requirement, but they make an awesome coffee. It's tucked away on Gilbert St, so it doesn't suffer from the same line up and consistency issues that the more popular places have. It's so tucked away, that the first time I met a really good mate there for a morning coffee, I watched him drive past three times trying to find it! Paddy's also have a decent range of food, using local Adelaide ingredients like Mylor Sourdough. They also sell their house beans, a blend that they are updating all the time. I also love their coffee options, on a hot day, nothing beats a Ben Cousins or a Disco Dave for the soy drinkers! This is my go-to place for introducing people to coffee other than Cibo, as it's the best introduction to how good a speciality coffee can be. 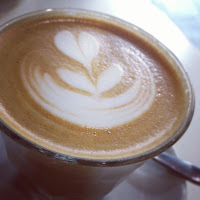 Ok, rant over - this is the longest of my reviews so far, I think that show's how much I enjoy the coffee here! 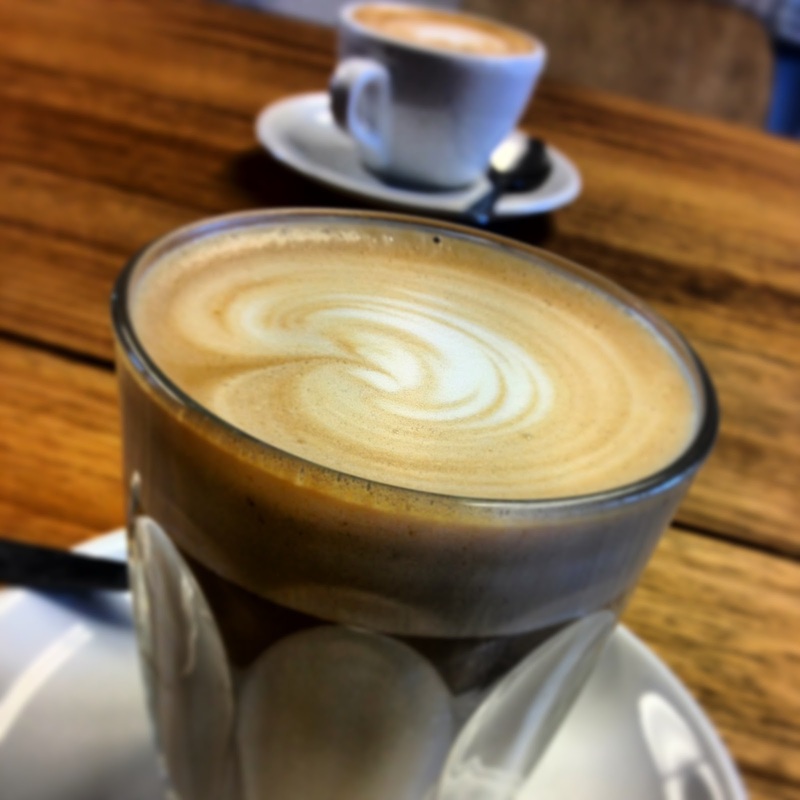 PURE Boutique Coffee Bar - Pure is definitely a suburban location! On Jetty Rd at Glenelg, it's a venue that's very popular. Predominately, they use 5 Senses beans, but, if you're lucky, you'll get some Barossa Coffee Roasters on the specials board! I do like to come down here, on a Sunday afternoon or a weekday 'day-off' and sit and relax with a decent coffee. They have a huge variety of brewing options & beans to purchase, and some very helpful Barista's too. I always like to get some beans here when I need them, I've got Barossa beans here a few times - Pure is the easiest place for me to get them! If you are looking to get a great coffee in the area, or wider area (I've driven 20 mins out of my way more than once to stop here), it's a great option. Don't be put off by the perception that everything on Jetty Rd is touristy, this is a great coffee bar. 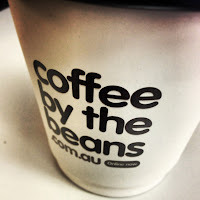 Coffee by the Beans - I remember the first time I tried Coffee by the Beans was on the way to Glenelg, when I stumbled upon an A frame sign along Henley Beach Rd. Intrigued, I went on in and was pleasantly surprised. Since then, I have made many trips to Glenelg, Marion and the Airport to grab their coffee. I've had a few bags of their beans at home too. The staff here are super pleasant, they remember your name, bubbly characters and love to talk coffee. A great selection of coffee hardware too, with plenty of advice on its usage. Next time you head west-side, pop in and say hello! Would love to see a review for Fiefy's on Pirie St. I worked with a barista trainer for a while and that's where she gets coffee in Adelaide. Thanks Anonymous! It's been a long time coming. Make sure you keep checking back for updates, Fiefy's is on the list! Also, check out Kicco on Pirie st. Awesome coffee made in there (its my morning stop-off) and also bought a bag of beans too, rich and full in flavour. There aren't that many quality consistent coffee's coming out of cafes in the CBD but it is growing. The 3 you have listed would also be on my city list with Josh from Coffee Branch continuing to crank out consistent quality coffee, many baristas could learn a thing or 2 from him. His is not old school coffee but coffee for today. Avila and Jupiter are newer business's but have proven they know how to make good coffee using good beans and baristas with knowhow. Thanks for the comments Bobby - great to hear your thoughts. Keep them coming as we add more to the list! Hi Anon. Definitely going to be adding these over time as the list expands, so keep checking in! Hi Anon. I will have to go and give them a try, it's hard to go past the Branch! Fiefy's over Coffee Branch any day of the week! Hi Julz! I don't mind Fiefy's at all, and I love how you feel so welcome there. It will be appearing on the roundup soon! Looks like you mainly do CBD cafes. If you ever make it to the north, try Coffee Amigo. I had friends that work in the area introduce them to me. 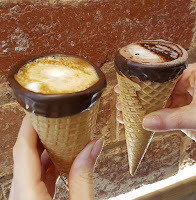 I work in CBD so i know its hard to make it that way but they are locally very popular and make awesome hot chocs with belgian buttons for non coffee lovers too. Hi Anon. 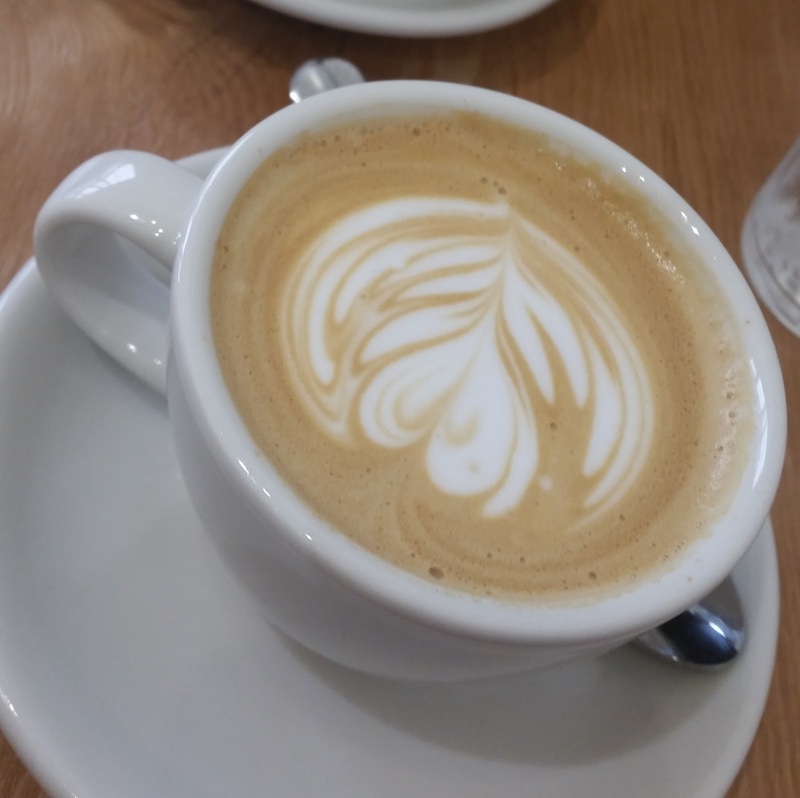 We have heard a few good things about Coffee Amigo, and it's on our list to try. Keep checking back into our roundup. We will continue our journey through Adelaide, and we have many places that aren't CBD to add! I like Paddys Lantern, a bit out of the way and the venue itself is nothing special, but the coffee is good ! Hi Anon. I love Paddy's also. You're in luck, as they are the next on the list! Fantastic coffee round up, been to all the above, some similar comments on these cafes, however pretty impressed by the level of café/coffee going around Adelaide these days, keep all the reviews coming. Keep us updated with any that we haven't covered or update us on anything new on here or on twitter @chopped_up. Have you tried Kappy's Tea & Coffee? He is more a distributor of fine tea and coffee, but has opened to the public just off Gouger. We haven't tried that particular Kappy's, but I have had a few from the Kappy's on Flinders St. Wasn't the biggest fan, but am willing to try anything again. 'Please say Please' and 'The Stranded Store' need I say more? Hi Anonymous - thanks for your comment. Please Say Please will be joining the roundup very soon, but my experiences haven't been consistent enough to be calling it three chops - have yours? I also need to get to The Stranded Store a few more times to add them into the round up also. Thanks, Nathan. It's a bit of a trek if you're not from that side of town- but Taylor Blend on Hallett Road in Stonyfell does amazing coffee. Its a small humble place with the same four baristas. My boyfriend and I have spent a small fortune here over the past two years. Definitely give it a go! Also check out Zuma Caffe in the Central Markets. Long-running establishment consistently churning out great coffee! I used to get a great coffee from Angelo at the Lunchroom, Grenfell Street but he has moved. Anyone know where he is now?